Late last night I bought a new body for the Claescaster, or rather I got the first part of my new Claescaster. The idea is to build a new guitar from scratch with the best bits I can afford after the specifications of a Seventies Fender Telecaster. 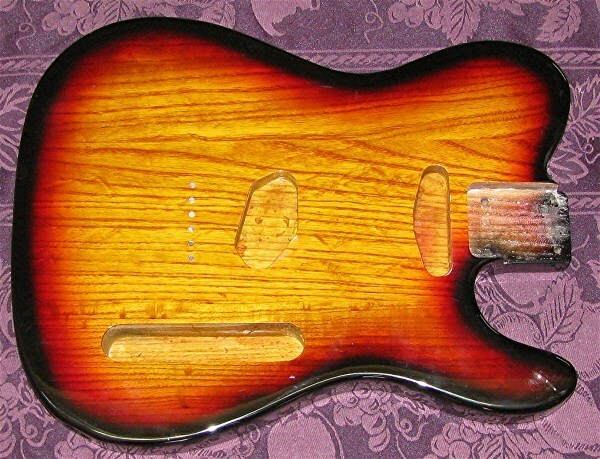 I have thought about this for a while and I really don’t like the grain and look of my Morgan Telecaster, especially not now when she has darkened so much since I moved to Spain, and now I found my ideal body. It’s a Mighty Mite Swamp ash body in 3 tone sunburst and I haven’t seen any Mighty Mite bodies, not even on their website, in this lovely red sunburst. It’s quite heavy for being a modern body, around 3.2 kg, which I really like. Most modern bodies I’ve seen weighs 1.5-2.5 kg, does all guitarist have back problems or why doesn’t anyone want heavy guitars any more? Or maybe it’s just the quality and density of the wood that has changed over the years and you can’t find proper wood nowadays. I’m going to build a nice blackguard Seventies Telecaster out of this with gold hardware, just because I love gold. I can’t afford a real Seventies Fender so the best I can do is to create my own, and I think I might enjoy building it too. I bought it from AZGuitarParts a US eBay seller so let’s see how it goes with import tax to Spain, I shouldn’t have to pay anything since it cost under 150€ but you never know. I bought all the gold hardware for the Claescaster from the US 2 years ago but that was a smaller package so it slipped through customs just fine, I just have to wait and see how it goes this time. I can’t afford to buy a new neck, pickups and all the hardware now so this is going to be my ongoing project over the spring. First I’m going to just change the body, meaning unsolder and move all the hardware, pickups and pots from the Claescaster and take that neck too. Then when I get some more money I will start to collect and exchange all the bits with parts I really like. Cloth covered wires, CTS pots, Oak switch and some swanky pickups, I was thinking of the Tonerider Vintage Plus, in gold of course. I also think it could be a good idea to practice soldering on the old Morgan pots and pickups so I don’t buy anything new and expensive and ruin it straight away. 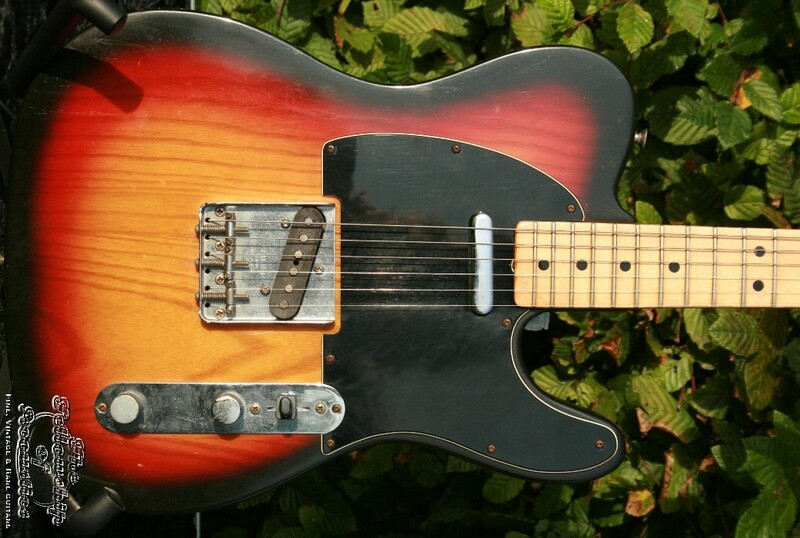 Then in a couple of month I will suddenly have two guitars, my Morgan Telecaster in it’s original form and the new Claescaster, a Swamp ash 1970’s Fender Telecaster copy built from scratch by me. My secret plan is to force my first born to learn how to play guitar on my old Claescaster and when they turn 20 they will inherited the new Claescaster. “Here is a guitar that I built 20 years ago and have been playing heavily ever since just too keep it warm, I built it for you”. How nice would that be, damn it, why didn’t my dad build me any guitars.